Wow – what an exciting year I’ve had, and it’s only the 9th day thus far! 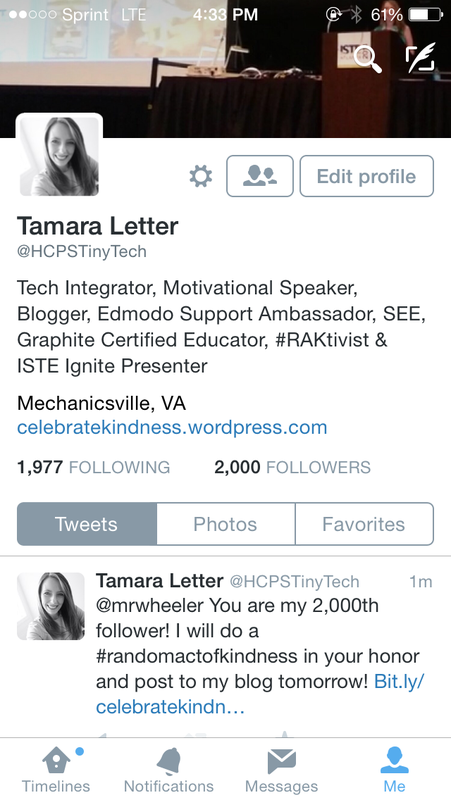 Today I completed another random act of kindness in celebration of a Twitter milestone – 2,000 followers! That number is simply incredible. To think that every time I post something, there are 2,000 different people receiving my words, my thoughts, my insights… wow, indeed! 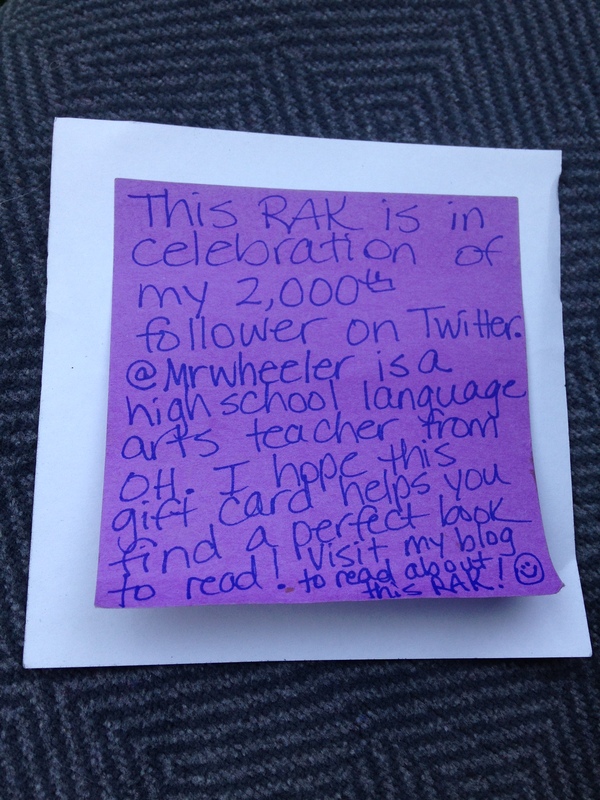 My 2K follower was @mrwheeler, a high school language arts teacher from Ohio. Thanks for the follow! I wanted to do a RAK that aligned with his interests, so I decided to do something with books since he was an English teacher. As a pure coincidence (or would you say divine intervention? 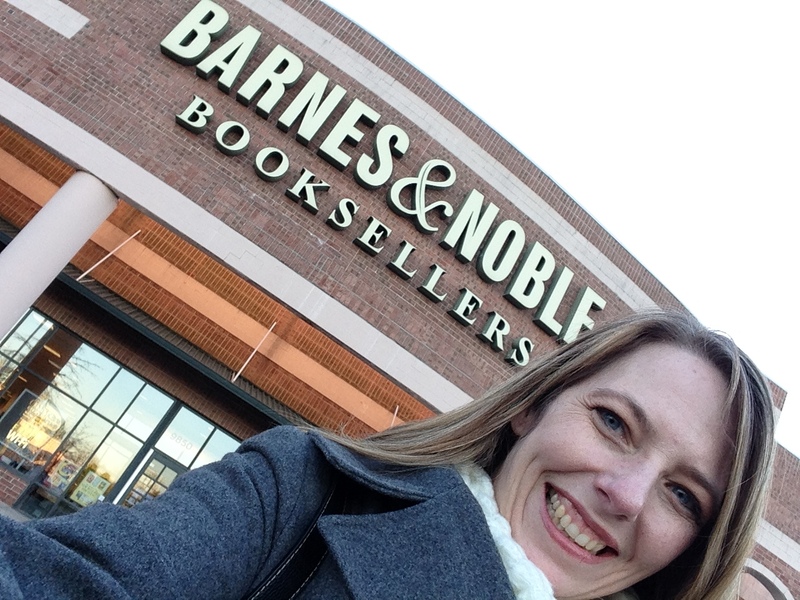 ), my co-worker Jen donated a Barnes and Nobles gift card for me to pay-it-forward in whatever RAK I chose. Perfect timing! So after work today, I wrote a quick note and drove to the nearest store to leave my RAK surprise. I found a stack of books near the front of the store and left the gift card there. 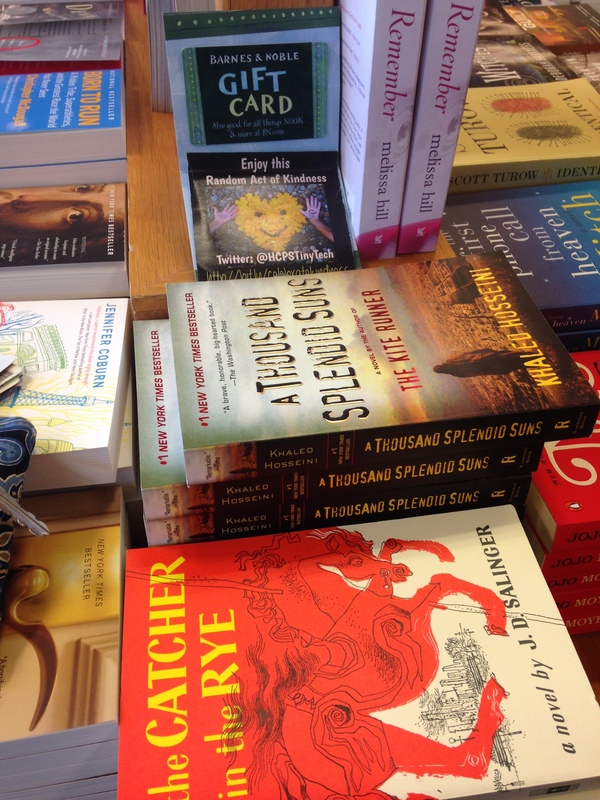 It was so much fun to peek at the shoppers leisurely gazing at book titles around me. Which one would see my gift card? Who would actually pick it up and use it? Sometimes half the joy of doing a random act of kindness is in the wonderment of who will be the recipient. Will it be someone shopping for a gift? A bookworm like me, who will read all sorts of books? Or maybe someone who wishes they had enough money for a hardback book, but had resigned themselves to only being able to afford a soft cover. One can only imagine. 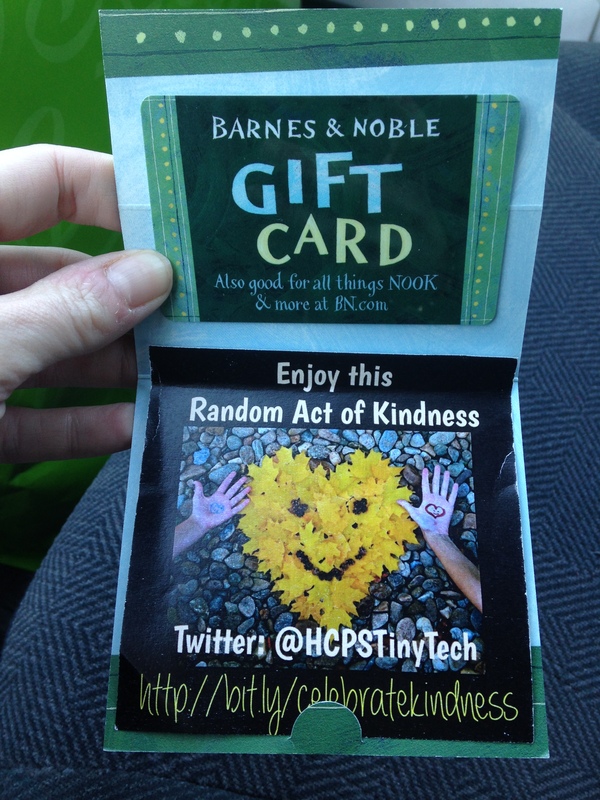 I hope whoever received this RAK was blessed with a smile, because it definitely made my day to give it away! Mr. Wheeler, I hope your day was blessed as well, and I thank you… along with the other 1,999 of my followers, who engage with me on Twitter and allow me the privilege of sharing my life journey. I treasure each and everyone one of you! 1 Response to "Twitter Milestone 2K"
What a great idea! I know that I’ve purchased random food and coffee for people behind me in a drive-thru; however, the book adds a personal twist. I love doing things for others that will brighten their day unexpectedly. Enjoy your 2000 followers. I know they learn from you as well.